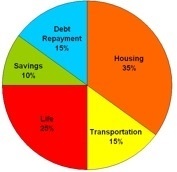 A number of factors make up the average American pie chart such as income savings, expenses, assets, debt, and spending patterns. Everyone’s financial picture will have some variations of course, however, there are several interesting statistics that define the financial status of the average American citizen. 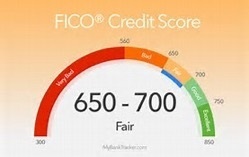 Some of the most common topics have to do with credit scores, retirement plans. Questions such as “what is the debt to income ratio of the average American or how much does the average American owe the IRS?” are also some of the questions that the average American is asking in order to get an idea of how their current financial status compares to that of their fellow citizens. The following provide some interesting statistics that may help to sum up the average American financial status and provide answers to questions as well. 1. Based on the most current trends provided by the S. Census Bureau that was released in September 2016, the average median household income for Americans was $55,775. This reflects a 3.8% increase over the $53,713 amount for 2014 as well as the third consecutive year the average household income has shown an increase. However, based on IRS data, and the latest calendar year for which the data is available, the U.S. median wage growth was around 4% in 2016, which indicate that the average median wage growth gross household income was approximated at $71,258. Mortgage rates were between $168,614 and $172,806. Credit Card balances were between $15,762 and 16,061. Vehicle loans ranged between $27,141 and $28,535. 3. 401(k) average balance is reflected by age group as indicated by the Vangard chart below. 4. Average rates in personal savings for Americans has been staggered since it reached an all-time low of 1.9% in 2005. In February of this year it reflected an increase to 5.60% up from January’s 5.50% in January of 2017. Economist still believe that the average savings in the U.S. does not provide sufficient cushion to absorb any real financial setbacks. 5. Charitable contributions by Americans according to 2015 IRS records topped off at an estimated $5,491. Data reflecting this amount however was derived from approximately 30% of Americans who itemized taxable deductions. It is also important to note that these charitable donations varied significantly based on household income. Already have a good retirement plan. 46% did not have or could not spare the funds to open an IRA account. 25% said they just did not know enough about IRAs or how much money they needed to open an IRA account. 8. Average tax refund received by American in 2016 was approximately $3,120. This translate into a cumulative statistic of approximately $317 billion. 9. The federal income tax rate paid by Americans averaged out at 13.5% which converts to approximately $9,655. Americans also paid on average 1.45% for Medicare, 3.3% for social security taxes and 9.9% for state and local taxes. 10. The average American annual social income is between $15,528 and $16,356 which translates to little under or over $1,300 per month. Studies show an estimated 9 out of 10 social security recipients wait until they are at least age 65 and older to apply for these benefits. Overall, social security benefits represent about 34% of the income of the elderly. An average of 48% of married couples and 71% of unmarried persons depend on social security for at least 50% of their income. 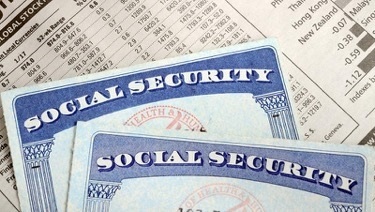 Social Security represent 90% or more of the income of 21% of married couples and approximately 43% of elderly singles.